Api-Cocktails: the benefits of all bee products in a single jar! Our most therapeutical cocktail: "Apilife Apicocktail". Contains Bee bread, Royal Jelly, Apilarnil, Propolis and fresh Bee Pollen in great percentage, blended in a wonderful raw honey. All products are organically produced and create an impressive synergy which you feel in your mouth as soon as you try even the smallest amount. Quality of the product is ensured by Dr and Food Quality Engineer Cornelia Abilaru that tests each api-cocktail batch with sensitive cristallisation. This product is top of the line on an international level when it is question of superfood value of bee products. The following cocktail is called "Apilife Men's Immunity". 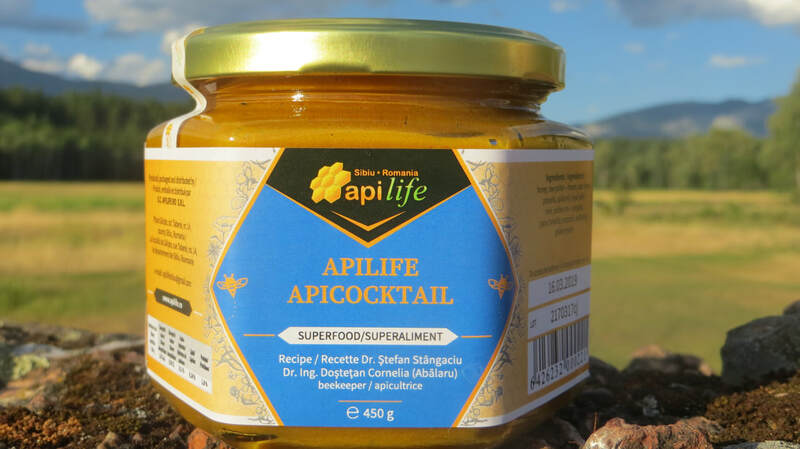 This one uses Apilarnil as its main superfood ingredient in combination with forest honey which accompanies the properties of apilarnil perfectly due to its high concentration of minerals and polyphenols. It also contains fresh Bee Pollen as well as Propolis. 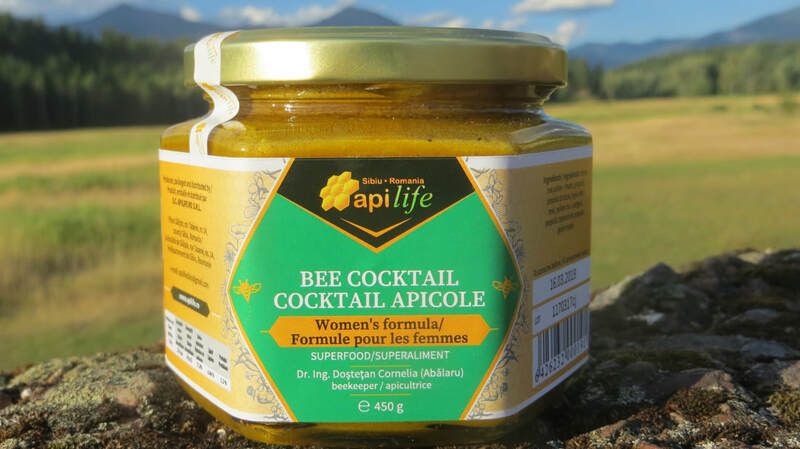 Next comes our "Apilife Women's Immunity" cocktail that is specialized in high Royal Jelly concentration. It also contains Propolis, fresh Bee Pollen as well as excellent raw honey. Last but not the least, our "Apilife Children Immunity" cocktail. This one uses a specific raw honey that tastes sweeter then others as well as an alcohol free tincture of Propolis. It also contains fresh Bee Pollen, Apilarnil and Royal Jelly. This formula as been specifically designed to please the tongue of children but will also rejoice any person with a sweet tooth.